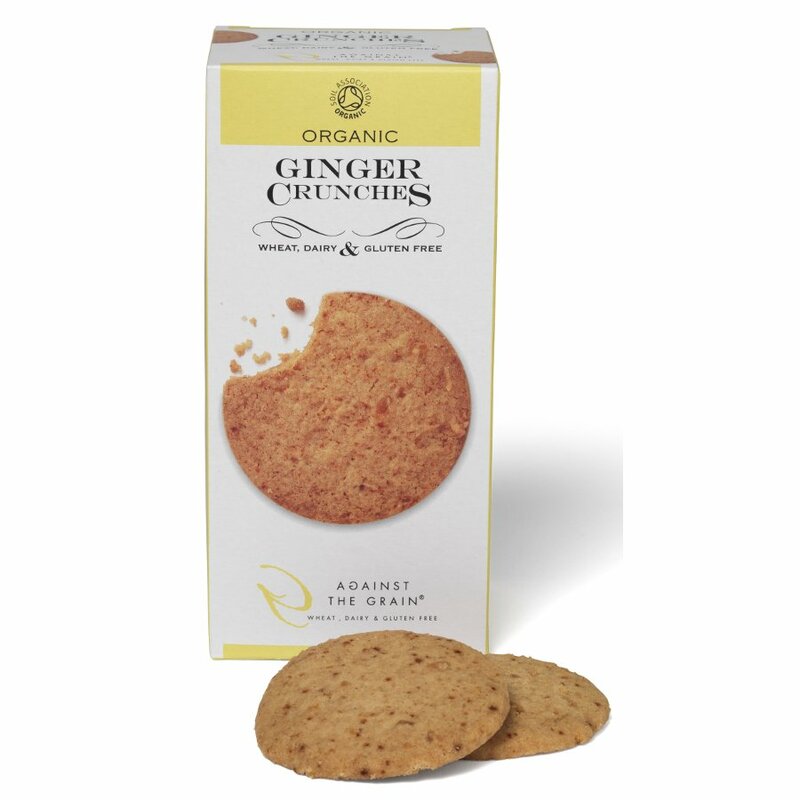 This scrummy, 150g pack of organic Ginger Crunches are sure to be a hit with any cookie lover or biscuit fan! Gluten free flour* (contains rice flour*, potato starch*, buckwheat flour* maize flour*), Palm Oil*, Rice syrup (rice flour*, lemon juice*), Sugar*, Rice Flour*, Stem Ginger* 8.9%, Ground Ginger* 1.2%, Molasses*, Raising Agent (ammonium Bicarbonate). The Against The Grain Organic Ginger Crunches 150g product ethics are indicated below. To learn more about these product ethics and to see related products, follow the links below. I do like the strong ginger flavour of these.Very tasty.rnrnAlso I know that "crunch" is in their name but they're just too hard for me to enjoy properly though. Very tasty gluten free biscuits, perhaps a bit hard and thick. i bought this as a present for a friend at christmas and they were gone by 28th dec, so that's how good they were. enjoy. 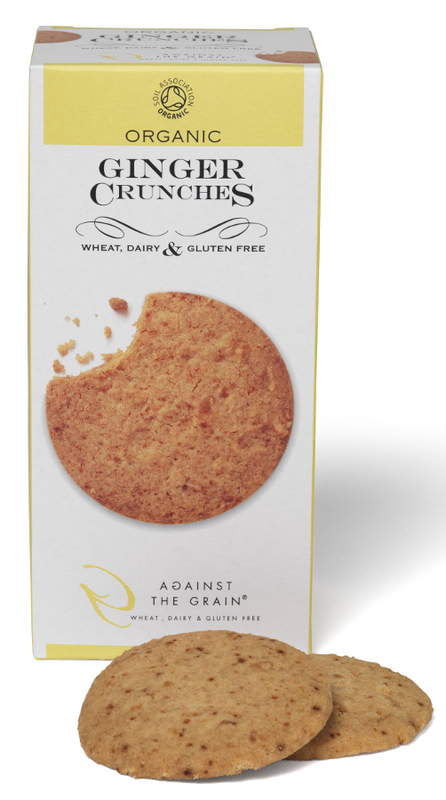 There are currently no questions to display about Against The Grain Organic Ginger Crunches 150g. Against the Grain believe in a natural approach, saying no to additives and believing that food should be fun for everyone!. They produce a range of wheat, dairy and gluten free biscuits. Certified as organic by the Soil Association, these biscuits are also vegan-friendly.